Deciding on whether or not to pursue higher education can be one of life's toughest decisions. 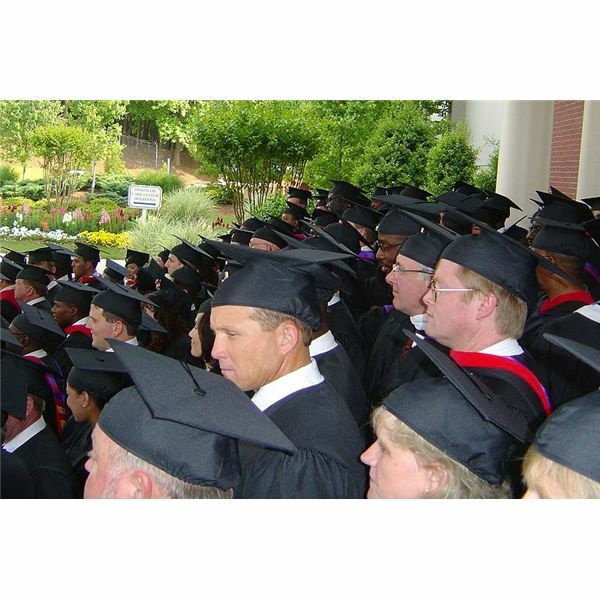 After all, students usually have just graduated with their undergraduate degree. Knowingly continuing through academia can be daunting if not just a bit overwhelming. However, with a modicum of guidance and some reflection, a student is able to discern whether a Master's degree in Business Administration is right for them. This guide provides articles that walk you through the process from deciding where to go, through the application, all the way to graduation. The first hurdle on the path to an MBA is to decide where to go. Choosing a university that is right for you, the individual, entails looking at various factors, such as, is the school rural or urban; does it have a high or low student ratio; what is the cost; and what are the prerequisites. Other considerations include whether or not you want to take courses online or in the traditional classroom, as well as whether or not you wish to move out of the country. In addition, visiting the colleges or universities may not be possible, so gathering as much information about the institutions you are interested in becomes important. Finally, there are entrance exams that must be taken well ahead of time. Here are some articles that will help you deal with these questions and concerns. Once the schools of your choice are selected, there is the challenge of filling out the applications. Filling out your application can and should take some time; answer questions carefully. Reflect on who would be best to give you a reference. Take your time writing the statement of purpose. Contemplating on how to best answer the numerous questions found on applications will assure that your application makes it through the first round of selections. These articles give many tips on how to be successful in applying to graduate school. While your applications are being considered, you can delve into the world of financial aid. After all, paying for your education needs to be in the forefront of preparations. There are various means by which you may pay for your education. Scholarships, grants and work study programs have helped numerous students complete their degree programs. Colleges and universities often offer assistance but it never hurts to look for other sources of funding. These articles give specific details on this topic. When classes begin in the MBA program of your choice, you will need to keep on top of your studies. Research papers, dissertations and other assignments should be done in a timely fashion, not in the eleventh hour. Most Master's programs require either a thesis or a capstone project. The best idea is to begin thinking about this well before the final semester of school. Here are some tips on keeping ahead of the power curve. After diligent studying, research and writing, you finally walk across the dais to receive your MBA diploma. Now what? What does an MBA mean at this point? What do you do? How do you get a job? How much money can you expect to make? While one door has closed, you have just walked onto the path of the rest of your life. Avoid feeling confused or overwhelmed; these articles help answer these questions and more. At this point, congratulations will be in order. The MBA is complete, a job secured. If this is your dream, then reading the articles in this guide to earning an MBA will give you, the prospective graduate school candidate, much of the pertinent information necessary for making a sound decision as well as guiding you through the various stages of completing an MBA.